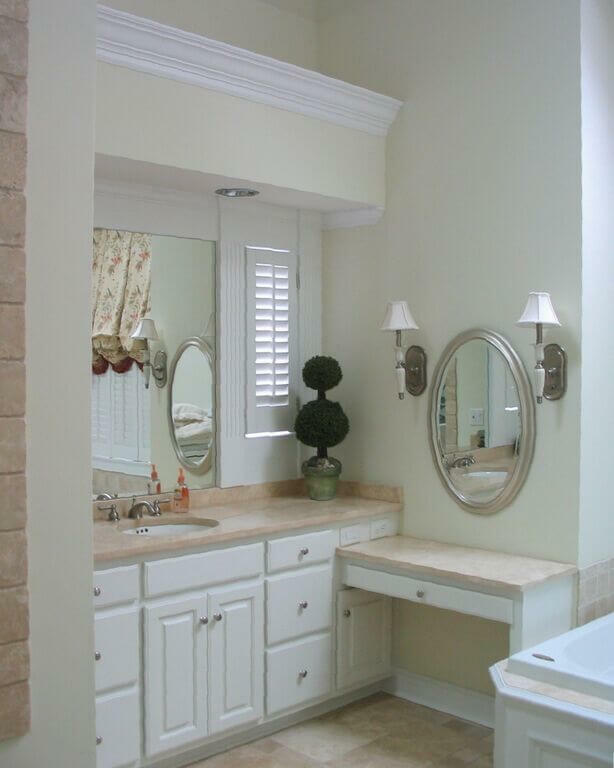 High ceilings and interesting architecture are just a few of the spectacular features of this master bath. Yet, many of these lovely details were unnoticed because of the monochromatic color scheme. 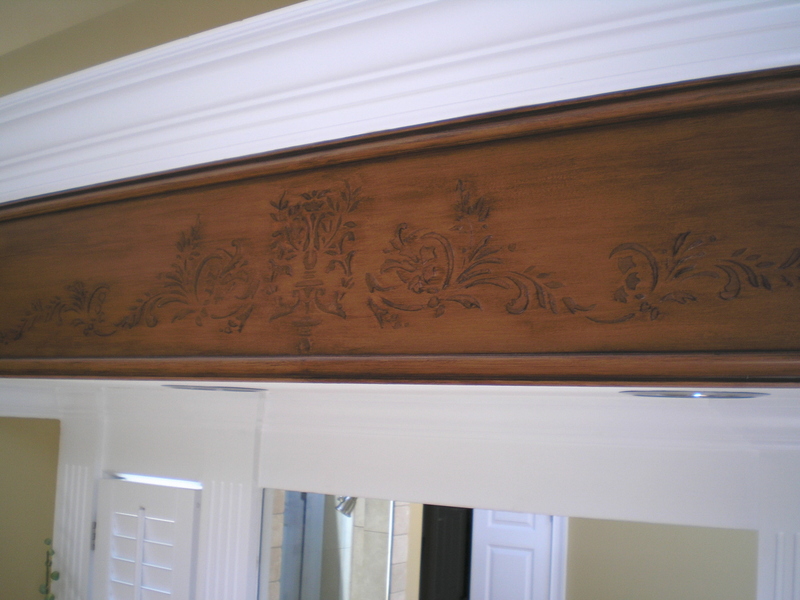 The goal was to accentuate the beautiful details with the use of decorative artistry. 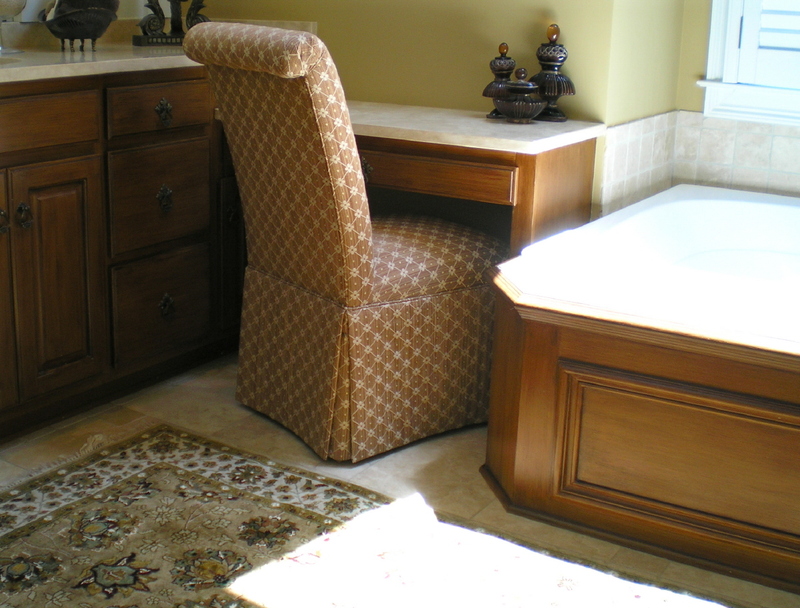 The most important element to this client was the antique hardware that was a family heirloom. In order for them to be featured, a beautiful backdrop was needed. 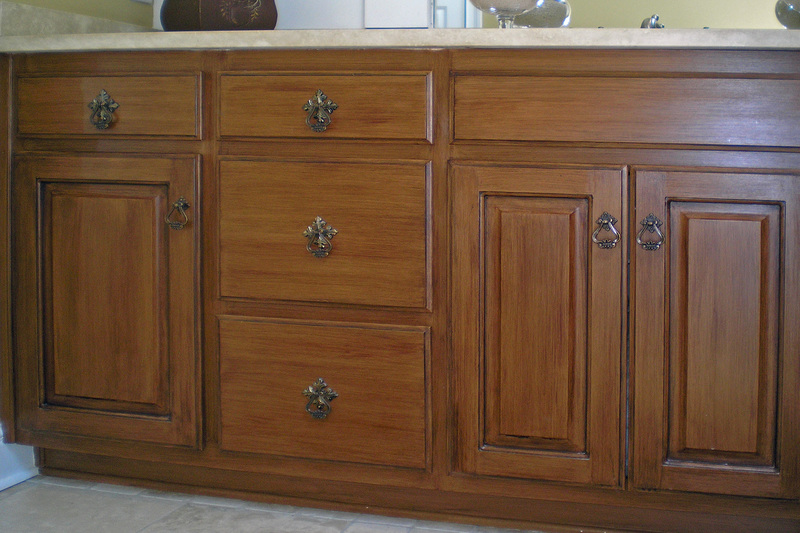 The cabinets were refinished in a subtle straight wood grain technique (faux bois). 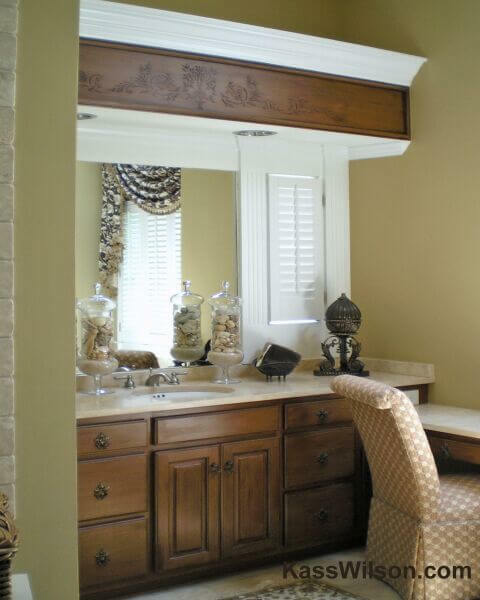 Although the crown was sheetrock, the same finish was applied to emphasize the height of the room. 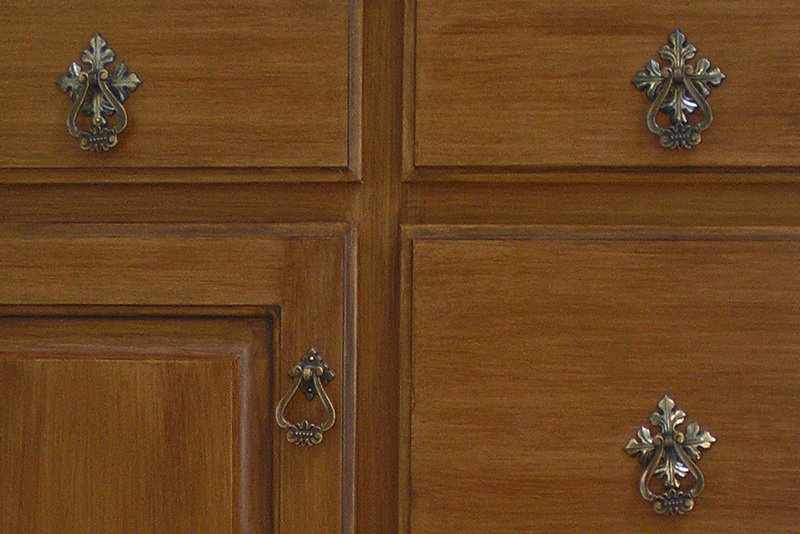 A raised stencil technique was added to give the illusion of carved wood in a design that complemented the exquisite hardware. 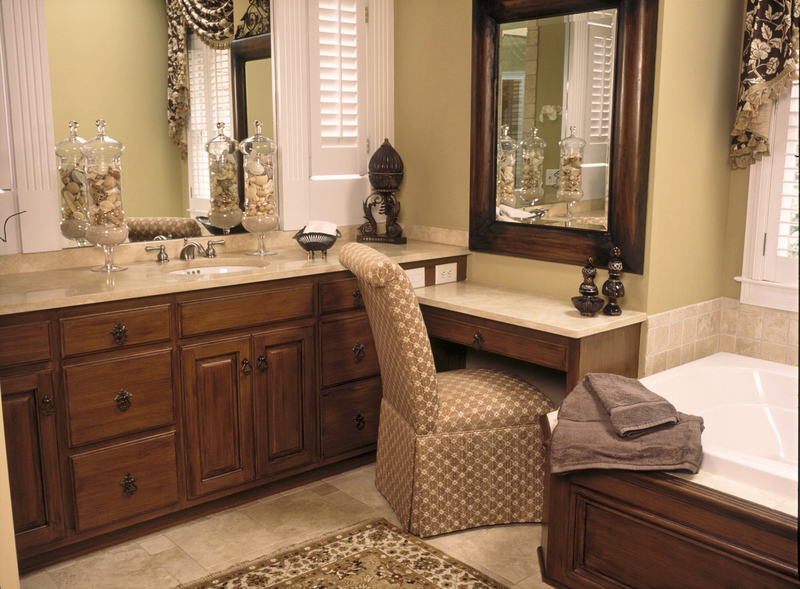 The addition of faux finishes to the cabinetry raises the bar on the design of this master bathroom.